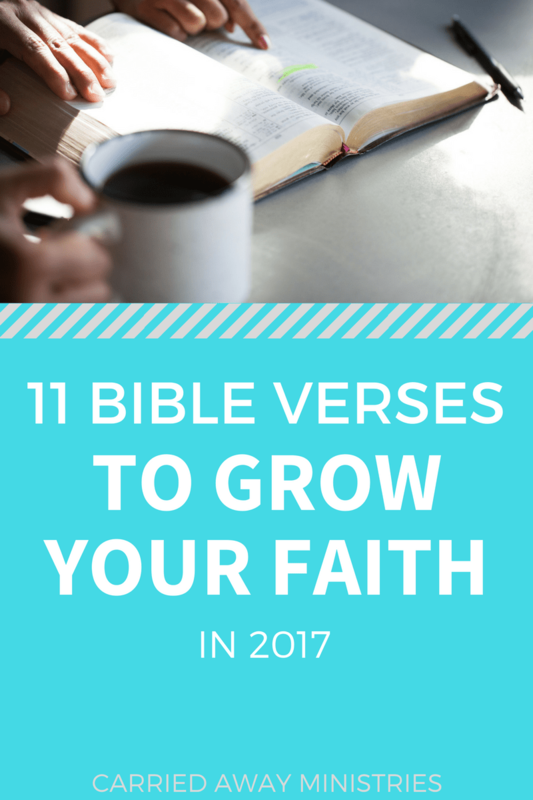 Today is the eighth post in the series: 11 Bible Verses to Grow Your Faith in 2017. In each post, I will introduce one name of God and one Bible verse that will grow your view of God, and in turn grow your faith. If you missed the others, here they are: post #1 , post #2 , post #3 , post #4 , post #5, post #6, and post #7. On a scale of 1 to 10, how much do you worry? I can remember the days when I constantly teetered back and forth between a 5 and a 10. I could go into details about the dread I experienced every time one of the kids was sick, or the tears I cried when my husband was out-of-town and didn’t answer his phone, but I don’t think it’s necessary. Most of you know the feeling well. Like it or not, for most women, worry is what we do. Maybe, like me, you’ve been in church long enough to know what the Bible says about worry. In red letters (which means Jesus is talking), it tell us plainly, “Do not worry” (Matthew 6:25). The problem is telling me not to worry doesn’t make my worry go away. It just makes me feel worse. Now I worry, and I feel guilty about it. What’s a girl to do to make the worry go away? Several years ago, God opened my eyes to something new about worry – something I’d never seen before. Ok. Great. I won’t worry about what I eat, drink or wear. But can I worry about big things like losing a loved one, that relationship that seems beyond repair, or if my children are going to go to prison or need counseling when they get older? Do you walk away from that text saying, “I know. Worry is a sin”, then give yourself permission to worry about the things that seem important to you – the really big stuff that needs worrying about? That’s exactly how I felt each time I read this passage – which I’ve probably read a hundred times – until this time. Worry: That’s what the godless do. That’s what those without a God do. But you … Child, you have a God in heaven who loves you. Who knows what you need before you even ask (Matt. 6:8). Who sees your need before it even arises, and makes provision for it. 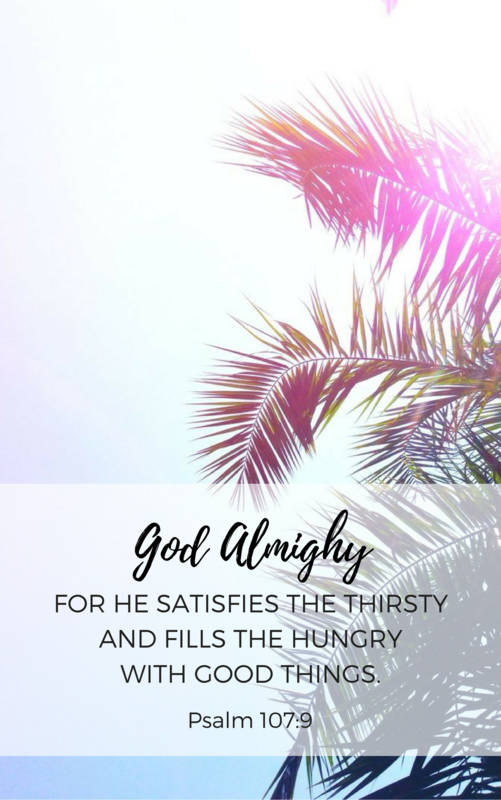 His name is Jehovah Jireh – the Lord Provides. So do not worry. Understanding that passage was a serious wake up call for me. It was a call to ruthlessly eliminate worry from my life – a call to lean into Jesus (my greatest provision) and allow Him to live His worry free life through me. Friends, worry has become a very normal part of living. It’s one sin we’ve opened the door to, and it’s consuming many of us. I don’t want to worry anymore, and I bet you don’t either. But don’t worry (Ha! ), our verse this month isn’t going to be “Do not worry.” Although important, right and true, I don’t want to focus on the command. Instead, I want to focus on our answer. You see, worry is always a sign of misplaced trust. When we worry, we allow our fear or circumstances to become bigger than our God. So this month, we’re going to focus our eyes (and our heart) on our Provider. Our one and only reason for worry-free living. You and I can live without worry because we aren’t a godless people! We DO have a God who is able to provide for our every need. The God we serve isn’t a part-time provider. In Jesus, we have every. single. thing we need. 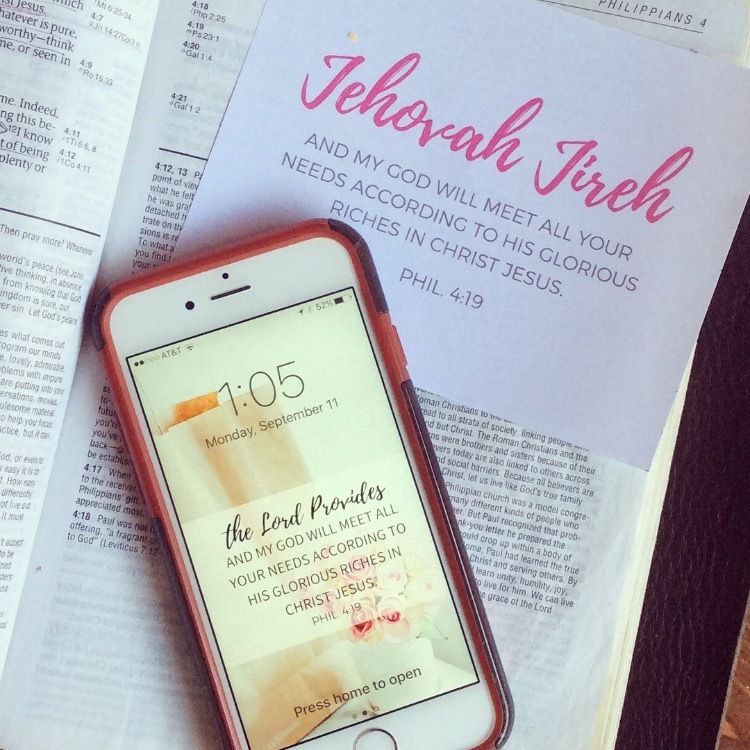 I have memory verse cards and a cell phone lock screen for you to download. Keep this verse in front of you. Practice it until it’s written on your heart. Click here to download the memory verse cards, and here to download the cell phone wall paper images. #2: CONFRONT WORRY WITH TRUTH. 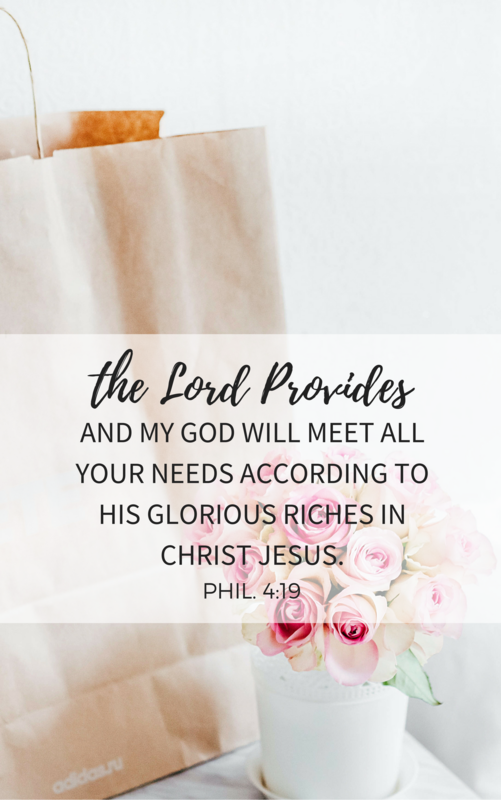 My plan of attack: anytime a thought pops into my head, inviting me to worry and stew, I’m going to remind myself who my God is – my Provider – and I’m going to choose to lean my full weight on Jesus, who is everything I’ll ever need. 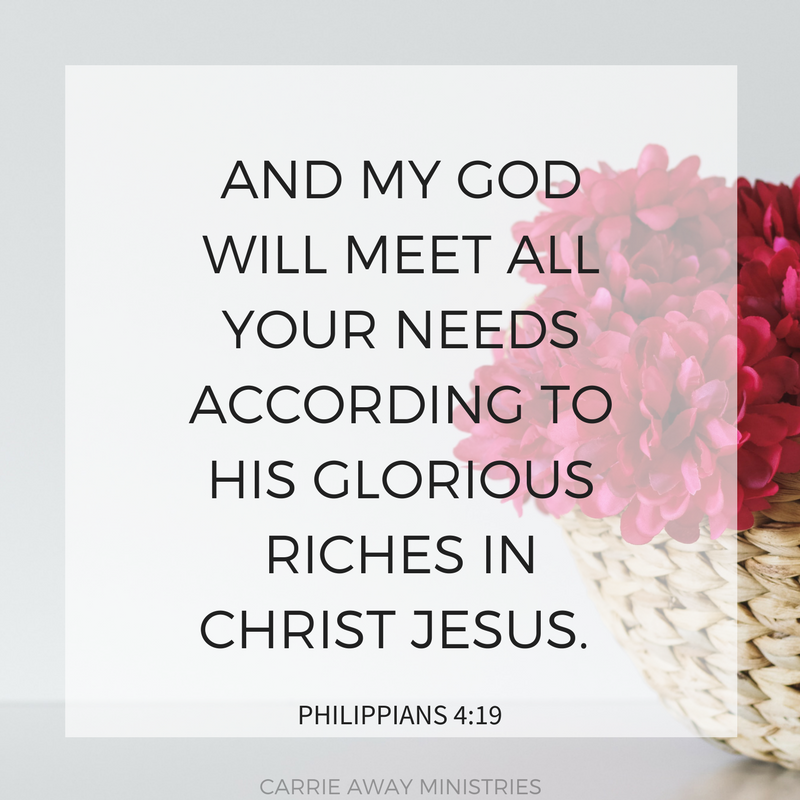 Loved loved loved this post, Carrie!! Thank you for sharing these words! !